Enzyme-Linked Immunosorbent Assays (ELISA) - Advansta Inc. The enzyme-linked immunosorbent assay (ELISA; also called enzyme immunoassay [EIA]) is a powerful technique to identify and measure the concentration of a substance in solution. As such, ELISAs are important tools in measuring a target antigen within a complex or crude preparation and are frequently used in research labs or as medical diagnostics. Similar to Western blots, ELISAs use antibodies to detect and quantify proteins and peptides; the specificity of the assay relies on the antigen-antibody interaction. Unlike Western blots, the assay is usually performed in a microtiter plate. While this does not allow for the determination of a protein’s molecular weight, the microtiter format does allow for a fast, high throughput assay and analysis of hundreds of samples at one time. There are several different formats for ELISA assays. A standard ELISA assay can be performed using two detection techniques: direct detection or indirect detection, depending on the sensitivity required and the nature of the available antibodies. In addition, “sandwich” ELISAs and competitive ELISAs have been developed to increase specificity and sensitivity of the assay. Below we discuss important points to consider for developing an ELISA assay and provide brief introductions to various ELISA formats. There are four main parts to an ELISA assay. The coating step occurs when the antigen or “capture” antibody (for a sandwich ELISA) is adsorbed to the wells of a microtiter plate. Coating immobilizes the antigen onto a solid surface for subsequent incubations, washes and detection. Once coated, the plate is incubated with blocking buffer to block any unoccupied binding sites in the wells. Blocking is important for reducing background and increasing the signal-to-noise ratio. The wells are then incubated with specific “detecting” antibody(ies) and washed with washing buffer to remove unbound antibody. When using the direct detection method, a single primary antibody is used that is conjugated to a substrate for detection. With indirect detection, the samples are first incubated with a primary antibody and then a secondary antibody that is conjugated to the substrate. Finally, the antigen is detected. Color-producing (chromogenic), light-producing (chemiluminescent) or fluoresecent detection methods can all be used. The first step in an ELISA is to coat the wells of the microtiter plate. The antigen or capture antibody (for a sandwich ELISA) must be adsorbed to a microplate appropriate for the ELISA conditions. Coating immobilizes the antigen to a solid surface. Adsorption can occur passively, or agents can be added to the plate to enhance adsorption or ensure correct orientation of the protein analyte. An ELISA-specific polystyrene microplate with flat-bottomed wells (not a tissue culture treated plate) should be used for the assay. The plate should have a minimum protein-binding capacity of 400 ng/cm2. The coefficient of variation (CV) of protein binding should also be low (<5%) to decrease variation between wells and plates. If a chromogenic assay is used, then clear plates should be used. Black or white opaque plates should be used for fluorescent or chemiluminescent assays to prevent well-to-well bleed through. The wells are coated by allowing the coating proteins to passively adsorb onto the plate. Proteins adsorb to the plate through hydrophobic interactions between the plastic and non-polar residues on the proteins. Coating conditions should be optimized for each protein. For most assays (except competitive ELISAs), it is best to coat the wells with an excess of protein to maximize the range of the assay. A general method is to incubate wells with protein dissolved in an alkaline buffer (phosphate buffered saline, pH 7.4 or carbonate-bicarbonate buffer, pH 9.4) at a concentration of 2-10 μg/ml. The wells can be incubated for several hours or overnight at various temperatures ranging from 4-37°C. 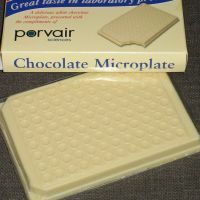 Depending on the stability of the coating protein, plates can be used immediately or dried and stored for subsequent use. Passive adsorption can cause problems that interfere with subsequent detection. During passive adsorption, proteins randomly attach to the well surface. Improper orientation of the protein can prevent recognition of the antibody epitope by the detecting antibody. Some proteins may become denatured during the adsorption process or may not bind efficiently to the well surface. In addition, binding of contaminants along with the protein of interest may decrease the overall signal. Several agents can be used to enhance binding or orient proteins during the coating process. When an ELISA is used to detect antibodies in a sample, the wells can be first coated with Protein A or G (or both). These proteins will bind to the antibodies through the Fc region of the antibody and orient the antigen binding domain of the antibody. If a fusion protein is used to coat the wells, it can be oriented on the plates by coating the wells with the agent used for purification of the protein (e.g., coat wells with glutathione for a GST-fusion protein). Small peptides may not bind efficiently to wells. To enhance binding, they can be biotinlylated and adsorbed onto wells that have been coated with streptavidin. After coating the wells with antigen, the wells must be incubated with a blocking solution that will occupy any free binding surfaces left in the wells. Blocking is critical for increasing the signal-to-noise ratio. Inadequate blocking can lead to high overall background and a low signal-to-noise ratio while excessive blocking can mask antigens and prevent antibody binding. Therefore, the blocking step should be optimized for each ELISA. Blocking solutions can be composed of an excess of unrelated protein(s) or other compounds that adsorb to the remaining binding surfaces in the wells. The most common blocking agents are protein blockers and non-ionic detergents. Protein blockers permanently occupy free binding spaces while also stabilizing the already bound antigen. Common protein blockers include non-fat dry milk, bovine serum albumin (BSA), whole serum and fish gelatin (see our WiKi on Blocking Buffers for more information). Note: whole serum can cross-react with Protein A and anti-IgG antibodies and interfere with reactions that require these molecules. Unlike protein blockers, detergent blockers are not permanent and can wash away exposing unoccupied sites. Therefore they must be added to all washing solutions in addition to the blocking solution. The most common detergent blocker is Tween-20, used at a low concentration (0.01-0.1%). A combination of protein and detergent can also be used to enhance blocking. Blocking is typically performed for at least 1 hour at room temperature. Highly specific antibodies are key to a successful ELISA. Both monoclonal and polyclonal antibodies can be used in ELISA assays. Monoclonals have monospecificity for a single epitope for fine-tuned detection and are more typically used for direct detection. Polyclonals tend to be used for indirect detection. In a sandwich ELISA (see below), both monoclonal and polyclonal antibodies can be used for capture and detection antibodies. However, often a polyclonal antibody is used as the capture antibody to pull down as much of the antigen as possible while a monoclonal antibody is used as the detection antibody to increase specificity. Detecting antibodies must be conjugated to a label for detection. Typically, detecting antibodies are conjugated to an enzyme label such as horseradish peroxidase (HRP) or alkaline phosphatase (AP). The enzymes can be incubated with substrates that generate color, light or fluorescence. HRP offers the most flexibility in choice of substrates. Detection antibodies directly conjugated to fluorescent tags can also be used for ELISAs (although they don’t rely on an enzymatic reaction, the technique is still referred to as an ELISA). Fluorescent tags are useful for detecting more than one target protein simultaneously. Washing should be performed between each step of the ELISA to increase the signal-to-noise ratio. Effective washing removes unbound antibodies and detecting reagents, decreasing high background. However, excessive washing can elute proteins from the wells decreasing the signal intensity. Therefore, it is imperative to optimize washing conditions. Wells should be washed multiple times between each step of the ELISA by adding and removing fresh washing solution. A general protocol is to wash each well 3-6 times before moving on to the next step. The number of washes and the length of time the wells are incubated with washing solution can be altered to reduce background. It is important to remove excess liquid after the final wash prior to continuing on to the next step to prevent dilution of added solutions. Detecting antibodies are either conjugated to an enzyme or directly labeled with a fluorescent tag. Enzyme-labeled antibodies are incubated with substrates that generate color, light or fluorescence while fluorescently labeled antibodies do not require incubation with substrates. In all cases, if the ELISA is established properly, then the intensity of the signal is directly proportional to the amount of antigen in the well, allowing for quantitation of the antigen. The choice of detection method depends on the required sensitivity of the assay and the instrumentation available for signal-detection (spectrophotometer, luminometer or fluorometer). Traditionally, ELISAs were developed using chromogenic detection reagents. Interaction of the enzyme bound to the detection antibody and the substrate results in an observable color change. The color change can be observed by eye to easily detect the presence or absence of an antigen and the results can be quantitated using a spectrophotometer. Chromogenic assays are typically less sensitive than chemiluminescent or fluorescent assays, although sensitivity can be enhanced by using different substrates. While chemiluminescent substrates offer increased sensitivity, they require more specialized equipment for visualization. The best choice is a luminometer plate reader, but chemiluminescent signals can also be detected using a digital camera system. Care must be taken when using chemiluminescent substrates – the signal intensity will decrease over time and it is important to know the kinetics of the reaction to properly capture the signal. Some chemiluminescent substrates, such as ELISABright from Advansta, have been optimized for use in ELISAs. A fluorescent signal can be achieved by using an enzyme that reacts with a substrate that produces fluorescence, or by using a detection antibody that is directly tagged with a fluorescent label. Fluorescent ELISAs are not as common and they require a fluorometer that is compatible with the excitation and emission spectra of the dye. The direct detection method is the least complex ELISA assay and can be used with a traditional ELISA or a sandwich ELISA. For direct detection, a primary detecting antibody is used that recognizes the antigen and is conjugated to the label. Direct detection is faster than indirect detection as it requires fewer steps and it also uses less reagents. However, it is less sensitive than indirect detection and conjugation of each primary antibody to a label can be impractical and cost prohibitive. Indirect detection is the most popular method for ELISA assays. For indirect detection, an unlabeled primary antibody is used to detect the antigen. Then a labeled secondary antibody is used that has specificity for the primary antibody. Indirect detection is more sensitive than direct detection since the signal is amplified when more than one secondary antibody binds to each primary antibody. This method is also more flexible and cost effective since one labeled secondary antibody can recognize multiple primary antibodies (as long as there is species compatibility). The sandwich ELISA is an adaptation to the traditional ELISA that results in a highly specific and sensitive assay. It is often used when starting with a complex mixture of proteins to avoid purification prior to analysis. In the sandwich ELISA, the antigen of interest is “sandwiched” between two antibodies prior to detection. The wells are first coated with an antibody specific for the target protein. This antibody is referred to as the “capture” antibody. Upon incubation with the analyte, the target protein will be bound and immobilized by the capture antibody. Direct or indirect detection is then used to identify the target protein. It is important to pair the capture and detection antibodies used in an ELISA. Each antibody should recognize different epitopes of the target antigen to allow each antibody to simultaneously recognize the antigen. Some manufacturers sell “matched” antibodies optimized for use together in ELISAs. Alternatively, a polyclonal antibody can be used for both capture and detection if the polyclonal recognizes sufficiently distinct epitopes. If using indirect detection, it is also critical to ensure that the secondary antibody is only specific for the primary detection antibody and does not recognize the capture antibody. This is achieved by using capture and detecting antibodies from different host species, as well as by using secondary antibodies that have been cross-adsorbed against the host species of the capture antibody. The most complex form of an ELISA is the competitive ELISA assay (also called inhibition ELISAs). Competitive ELISAs are used when working with small peptides that may be difficult to detect and only contain a single antibody-binding site (precluding the use of a sandwich ELISA) or when starting with a complex mixture of proteins. They are usually more sensitive and specific than traditional ELISAs. Competitive ELISAs measure the interference of a known amount of antigen binding to the antibody in the presence of a sample containing an unknown amount of antigen. The higher the concentration of antigen in the unknown, the bigger the decrease in signal. A competitive ELISA can be performed by coating the plate with a known amount of antigen and then incubating the plate with the unknown sample and the detecting antibody. If the unknown sample contains the same antigen, then some of the antibody will bind to the antigen in solution and be washed away during washes, decreasing the amount of antibody bound to the antigen in the wells. Alternatively, some competitive ELISAs use enzyme labeled antigen. Photo courtesy of Tanya Hart.